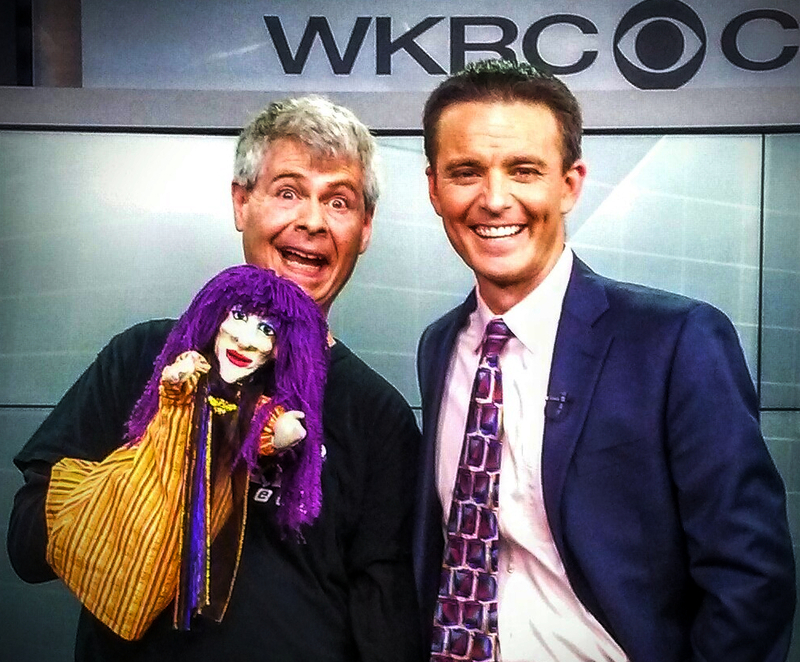 Witch Willie is our friendly witch who made her first appearance on live television on October 10, 2016, with Bob Herzog on WKRC Local 12’s Good Morning Cincinnati program. Click HERE to watch her guest segment. The idea for adding a witch to the cast had been rolling around my head for a while. As a boy I loved watching Sid and Marty Krofft’s “H. R. PufnStuf” Saturday morning TV show. I especially enjoyed the craziness of “Witchiepoo” as performed by actress Billie Hayes. In addition, my all-time favorite movie is The Wizard of Oz. Margaret Hamilton’s portrayal of the Wicked Witch of the West used to scare me as a youngster. Two of my favorite Halloween themed storybooks from my childhood are Don Freeman’s Space Witch (1959, Viking Press) and it’s sequel Tilly Witch (1969, Viking Press). Both are great books to read to children, and have wonderful illustrations. Be sure to check with your public library to find a copy. I suppose you could say that my Witch Willie character is the long lost cousin to these famous riders of broomsticks. I like her unique personality, performing her as a helpful witch who runs her very own business, Scary Witch Services. 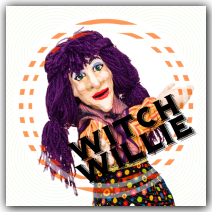 Witch Willie is one of the stars of The Kooky Spooky Halloween Show’s featured story “The Ghost Who Couldn’t Say BOO!”. While I was developing her character I cast her in a Christmas themed story a few years ago. My audience seemed puzzled to find a witch in a Christmas show, so I removed her from that show. Soon after, I added her to the story “Coleman’s Green Team”, to help everyone learn about littering, and how it affects our world. Witch Willie is a fantastic cast addition, and remains in that role as a segment of our Bee Happy show. Our star is the second traditional style hand puppet to be used in the show. When I was creating her character, I knew that I wanted the Witch Willie to have the ability to hold or pick up props on the puppet stage. As a solo puppeteer I can only use this style of puppet to do so. 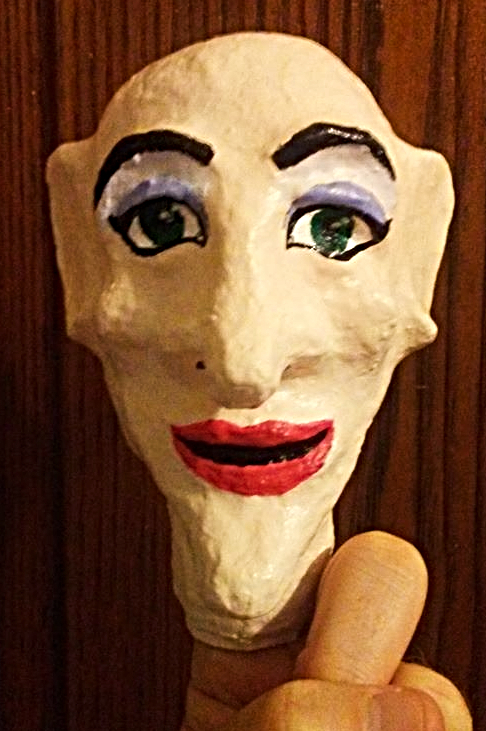 She is also the first traditional hand puppet that I perform on my right hand. When you see Willie perform, you will notice that she carries things around the stage, or sometimes brings props onto the stage. 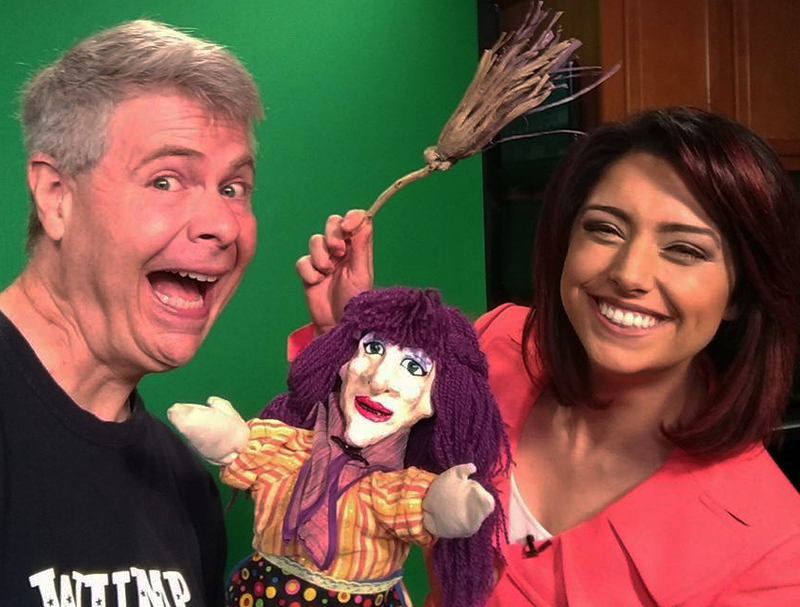 She is better at holding her broom than riding it, since the puppet has no legs. I do not have the exact dates that I began building the puppet. I remember that I started her towards the beginning of the busy 2016 summer touring season. Witch Willie’s head was sculpted out of a block of Plastalina modeling clay (see photo on the left). Her face gradually emerged from the clay as I moved it about. 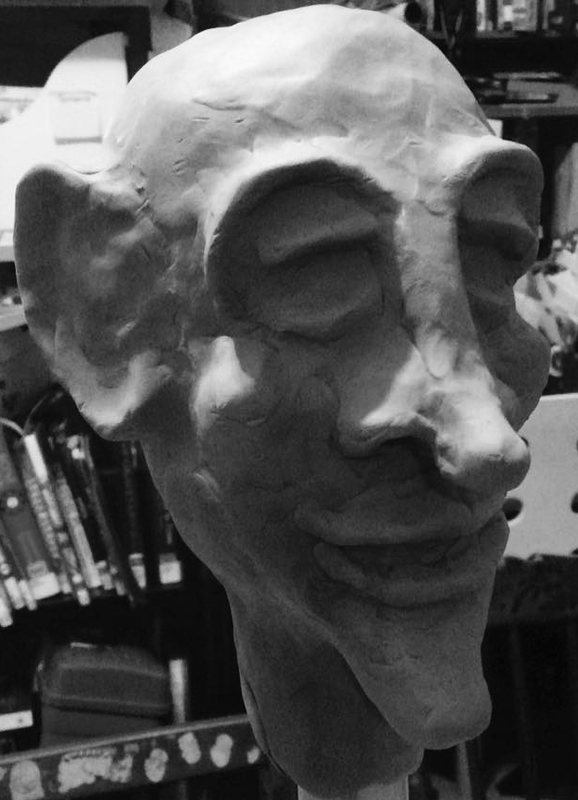 When this step of the process was done, I began covering the head in paper mache. I believe that there are seven or eight layers in the puppet’s head. It takes time to place the many small pieces of paper all over the puppet’s head. Next, I added several coats of acrylic paint, with my wife Lara finish by adding Witch Willie’s “make-up”. Lara also cut hundreds of pieces of purple yarn to weave into Willie’s lovely hair. Willie’s had fans ask her who her hair-stylist is! Witch Willie’s voice didn’t take me too long to develop. I knew that I wanted it to be slightly higher in pitch from the other voices that I perform. Over time I have found a comfortable sound for Willie’s voice. This has surprised several members of our audience when they learn that this kind witch is performed by a man.